2 Beds 2 Baths 1,233 Sq. ft. Enjoy the Great View from this light, bright, pristine clean 4th floor 2 bed - 2 bath Ashbury Model condo in the Beautiful Gated Community of Heritage Cove, the area's premier 55+ community. This unit features Hurricane impact windows throughout plus glassed lanai for extended enjoyment. Being offered Turnkey Furnished...it's move in ready and priced for quick sale and closing. Low Fees include TV + Internet, Water, Insurance, Landscape, and maintenance. 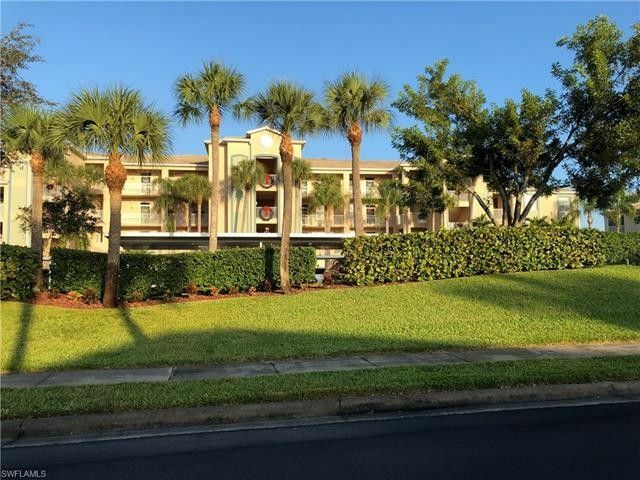 Heritage Cove is quiet, warm, and friendly, with acres of lakes and wildlife, and conveniently located in South Fort Myers near everything...airports, beaches, shopping, theaters, and restaurants. It is Pet Friendly, beautifully landscaped and offers a wide array of amenities and activities ...Tennis, Bocce Ball, Shuffleboard, Bingo, Dances, Pitch-Ins, and has an on-site property manager. There are Golf Groups, Bowling Groups, Women's Club, and much more. This condo and community are a must see! Call, text, or email for your private showing today. Directions: From Cypress Lake and McGregor, go south one block to A & W Bulb, turn left and then left again at first road. Left lane to enter gate code. The gate to stop sign, turn right and then turn left at second drive on left. BLDG 4.